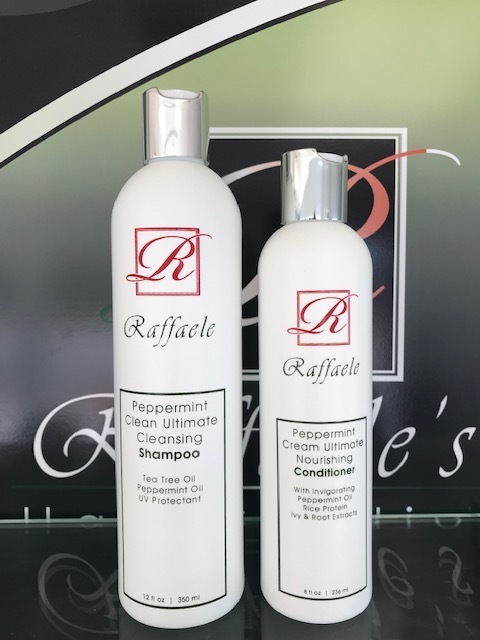 Raffaele uses his own personally developed products that are top of the line in the hair industry. Call 303-420-1155 today to schedule your appointment at Raffaele’s Hair Studio. Violet Toning Platinum Shampoo works for natural blondes, highlighted, or gray hair to restore bounce and resilience. Refresh your color to help prevent dull hair. - Grape Seed Extract helps prevent splits ends and contains antioxidant properties for healthier looking hair. Violet Toning Platinum Conditioner adds brilliant color and highlights with shine and body. May also be used as a deep color enhancement conditioning treatment. - Grape Seed Extract contains antioxidant for healthier looking hair and scalp. A unique charcoal infused hair mask made to exfoliate and rejuvenate hair. This deep treatment hair mask revives hair and is specially formulated with no harsh chemicals. This high-performance Biotin shampoo adds strength and smoothness to hair. Regular use promotes healthy, thick, shiny hair. Biotin prevents breakage and encourages hair growth. No Sodium Lauryl or Laureth Sulfates (SLS) and Paraben free. Infused with Biotin, a fortifying vitamin known for its superior hair strengthening benefits. With regular use this nourishing conditioner gives you fuller, thicker and volumized looking hair. Pro-Vitamin B5 adds shine and extreme conditioning. No Sodium Lauryl or Laureth Sulfates (SLS) and Paraben free. This botanical extract enriched shampoo hydrates, conditions and stimulates scalp with special extracts. Nourishes hair with moisturizing, voluminous, and soothing qualities. No Sodium Lauryl or Laureth Sulfates (SLS), Paraben and Alcohol free. Extreme Cream Conditioner is a thick, gentle formula that will help optimize the hair growth cycle by increasing the ability of hair to retain moisture. Also recommended for bleached or highlighted hair. No Sodium Lauryl or Laureth Sulfates (SLS) and Paraben free. Infused with keratin Protein to help prevent breakage, this moisturizing daily wash gently removes build up on hair & scalp. Adds renewed strength and gently smooths and softens the surface of the hair. Nutrients help reduce frizz and fly aways leaving hair with a silky and shiny appearance. UV absorber helps protect hair color from fading. No Sodium Lauryl or Laureth Sulfates (SLS), Paraben and Alcohol free. Light-weight daily conditioner specially formulated with Keratin to help seal the cuticle of the hair. Locks in proteins that help reduce frizz and control unmanageable hair leaving it smooth and shiny. Perfect for anyone who has had a Keratin smoothing treatment or chemical straightening service. Free of sodium chloride. Safe for use on chemically and color treated hair. No Sodium Lauryl or Laureth Sulfates (SLS), Paraben and Alcohol free. The secret to transform hair is made from Marula oil to rebuild and revive dry damaged hair weakened by everyday stress. 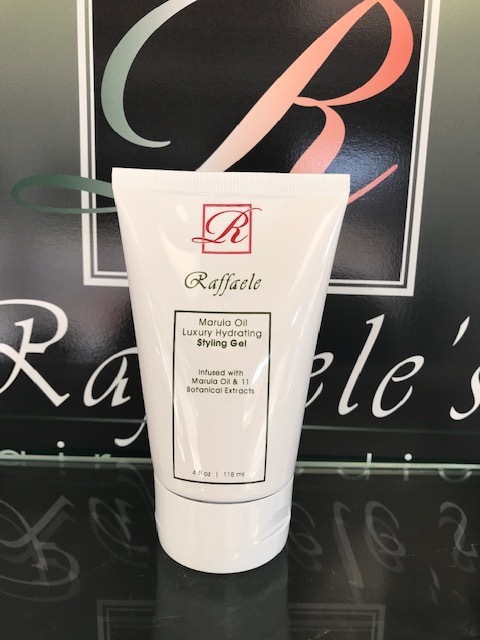 A mild foaming sulfate free and paraben free cleanser that gives instant hydration with humectants and pro-vitamin B5 for shine and softness. Packed with antioxidants and nutrients. No Sodium Lauryl or Laureth Sulfates (SLS), Paraben and Alcohol free. A gentle soap free conditioning crème that delivers intense hydration with botanical extracts for extra moisture and conditioning. 12 Bio-nutrients for strengthening and instant detangling for smooth and frizz free tresses. The high level of Oleic Acid found in Marula Oil is essential to maintain healthy skin and hair. Vitamins A, E, C and aloe, help to soothe scalp. Paraben free. Formulated to help thoroughly cleanse scalp and hair shaft. Removes excess oils and product build-up with a rich lather. Invigorates and stimulates the scalp leaving it with a cool sensation. Conditions and maintains healthy hair and scalp. Alcohol and Paraben free. Benefit from your blowout! Prep & protect clean, damp hair for blow drying with the Biotin & Botanical Fortified Leave-In. Puts the emphasis of CARE back into haircare! Frizz defying formula with detangling & smoothing benefits. Achieve manageability, softness and shine while maintaining a healthy scalp. Protects color vibrancy from fading and works as a shield for heat styling. Dry Texture Spray creates instant fullness, body, shape, and texture. Transforms hair into naturally thick and voluminous styles while keeping the natural movement of your hair. Separates strands, creates dimension and achieves definition for that sleek ‘undone’ look everyone craves. Paraben free. Aero-Tec To The Max structural hold setting spray is a versatile design tool that provides texture, shine, and long lasting touchable support. Leaves hair looking natural while adding strength and volume necessary to make any style last all day. Paraben free. Fortified with Hydrolyzed Keratin and a blend of nutrients that will help repair, rejuvenate, and rebuild elasticity. Leaves hair deeply nourished for improved resilience and luster. Long-lasting conditioning benefits, leaving hair silky-smooth and shiny without weighing it down. Paraben free. Ditch the frizz and rock the Whip! Get a smoother finish to your blowout with this ultra-light airy mousse. Achieve naturally moveable hair styles with extra hydration and shine. Paraben and Alcohol free. Ideal for lifting, shaping, holding. Provides humidity resistant, long lasting hold for all styles. Paraben free. 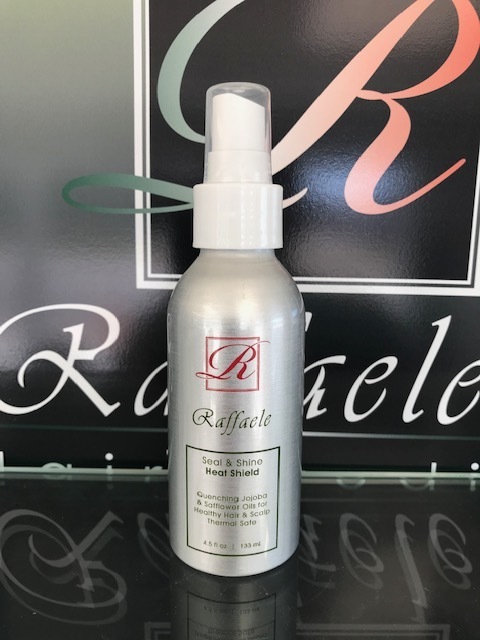 Seal & Shine is the first product developed especially for flat irons to glide smoothly through the hair leaving behind a lustrous shine and radiance. Containing multi weight silicones, it protects against thermal damage as it smooths, conditions, and seals the hair. UV absorber protects hair from sun damage. Paraben and Alcohol free. A super holding and volumizing gel builds touchable, long lasting, and flexible control without weight. Ideal for blow drying or wet styling. Alcohol and Paraben free. In NO Time thermal protecting styling cream was designed with textured hair in mind. This defrizz lotion locks out humidity and speeds up the blow dry process. No Sodium Lauryl or Laureth Sulfates (SLS), Paraben and Alcohol free. Hard Rock Gel provides a strong gel hold and gives hair defined texture and separation. Paraben free. This powerful setting and shaping gel is great for scrunching and slicking hair that is hard to hold or that needs a firmer look. Contains special silicone to reduce flaking. Excellent for curl retention and bounce. Alcohol and Paraben free. Humidity-resistant Kerasmooth Advanced Remedy Serum seals the cuticle and controls frizz. When used with heat, shine and smoothing are intensified. Effective in taming wild curls making them shiny and bouncy again. Protects hair color. Paraben free. Argan Oil will hydrate and nourish the hair producing incredible shine and smooth-like silk feel. Expect a healthy brilliant glow and long-lasting conditioning results. Paraben free. Silk Nectar is like no other product. It transforms and redefines any texture hair. Makes curly hair smooth and natural looking, straight hair becomes brilliant, sleek and full of shine. Paraben free.